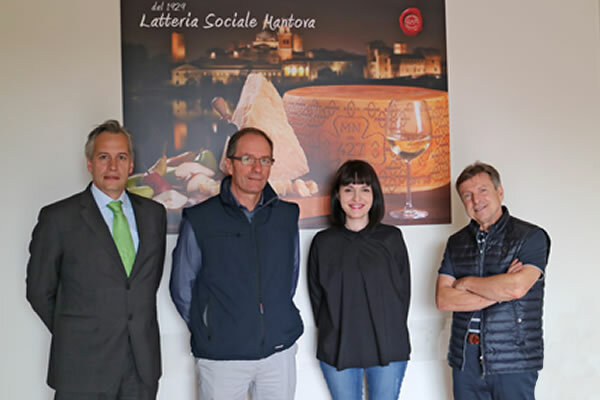 The Latteria Sociale Mantova dairy was founded in 1929 as a central dairy for the supply of pasteurized milk to the province of Mantua, and today it is the biggest cooperative in north-central Italy, specializing in the production of Grana Padano, cream, drinking milk and whey concentrate. 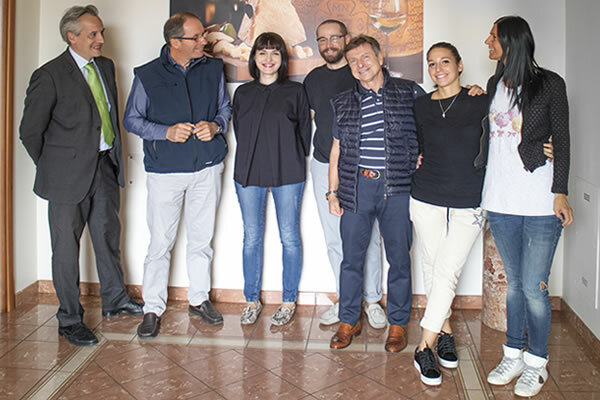 87 years of history for a dairy that is “growing young”: these are the words of Alessandro Bassani, who is 37 years old and has been working in the Sales Office of Latteria Sociale Mantova since 2010. He tells us about the history of the dairy. He explains that in addition to a team of young people in the various offices and plant departments, they are laying the foundations for a generational change in the management of the individual dairy farms, in which the children of the cooperative members are taking up the work started by their fathers and, in some cases, their grandfathers, to ensure that the strong reputation of the cooperative continues in time. We are also reminded of the devastating earthquake that struck Emilia and the lowlands of Lombardy in 2012, which caused serious damage to the dairy. In a very short space of time, however, it had the strength to start again. Alessandro recalls that the members and tradespeople got busy straightaway, working alongside the specialist workers to clear the 3 ageing storehouses which housed around 100,000 wheels of Grana Padano and had collapsed with the earthquake. Half the cheese was recovered, but sadly the other half had to be disposed of as waste. Within three months or so, the facilities had been rebuilt and the situation was back to normal again, although the dairy never really stopped production and carried on working so as not to lose its position in the international markets. Yes, because the Latteria Sociale Mantova dairy exports its products worldwide! Here to talk to us about exports are Fausto Turcato and Claudia Deodati, two key figures in the cooperative. 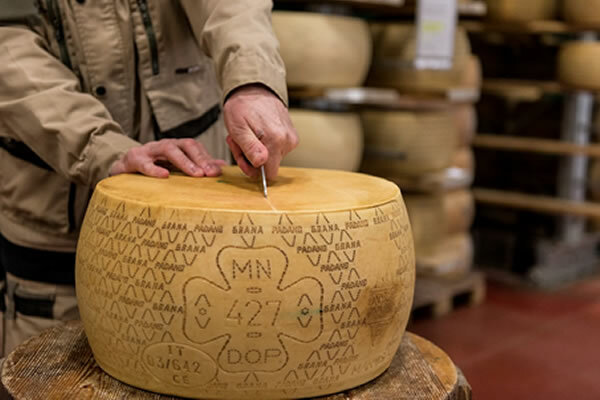 70% of our products are exported; the main country of export is Germany, but our Grana Padano (MN427, MN437, MN473) reaches as far as the Americas, Oceania, Asia, Africa... everywhere! The target industries are large-scale retailers and supermarket chains, food services and quality catering providers, delicatessen establishments, the food industry and so on. Given the scale of business, the dairy decided to expand its sales network by hiring an extra member of staff, Vincenzo Allena, who has joined the team in the last couple of months and will be focussing on foreign markets. In October 2017, LSM will be at the SIAL food exhibition in Paris, where there will be an opportunity to meet well-established customers as well as potential new business partners. Stefano Pernigotti is the President of the Latteria Sociale Mantova dairy, and he points out that, in order to meet consumer requirements worldwide, it was decided to certify part of the Grana Padano production with the Halal label, to cater to Muslim consumers, part with the Kosher label, to comply with Jewish religious dietary laws, and part with the organic label too! Since 2014, as part of its strategy of ongoing evolution, the LSM Group has been working to renew its image by changing its logo and packaging, and by setting its online presence with a website and its own Facebook page, so as to keep in touch with consumers and friends at all times. The direct employees and external collaborators working with LSM number almost 200. 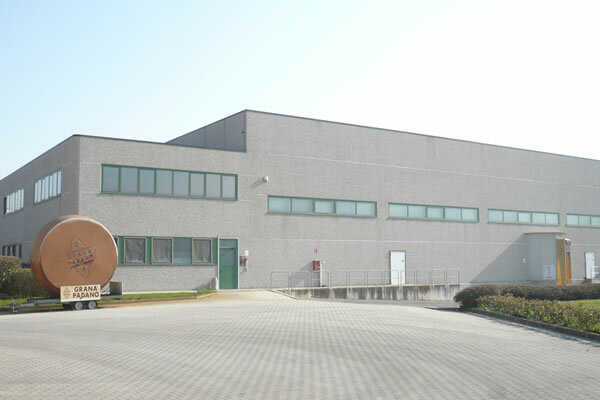 The LSM cooperative is made up of 194 dairy farms and processes 600,000 litres of milk per day in its 3 facilities located in the province of Mantua (Porto Mantovano, Marmirolo – Latteria San Sebastiano, Bagnolo San Vito – Caseificio Formigada).